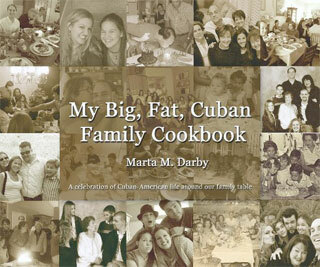 I hope you're enjoying the week long celebration of My Big, Fat, Cuban Family being here on the web for 7 years now. I'm so seriously delighted with the generosity of my sponsors and I'm grateful to all my Cuban cubiches who are helping me celebrate by offering such fun prizes. This summer, Eric and I had the wonderful opportunity to enjoy a day at Gaviña Gourmet Coffee Roasters. La Llave is my husband's absolute favorite espresso. In fact, (warning! over-share alert!) he makes happy, yummy sounds pretty much every single morning as he's having his La Llave. This, of course, pleases me greatly. I love that such a simple thing makes him happy. I further love that he's embraced this part of my Cuban heritage. This is Eric happily supervising the vacuum packing of the La Llave coffee on the Gaviña tour. He says it with an almost flawless accent. It reminds me of my dad and I feel a catch in my throat. My husband happily drinks his La Llave from one of these gorgeous little cups every day. His wife sits in wonder at the continuity in her life. My good friends at Gaviña & Sons Coffee have graciously agreed to sponsor a La Llave Cuban Coffee Basket for today's giveaway, which includes those same awesome La Llave "tacitas." Do you drink espresso? How often? Do you like it sweet? With milk? Latte? Cappuccino? Tell me. Please leave your comment on this post and I'll choose a winner on Wednesday, October 9th, 2013 at 11am PST. "I like Cafe La Llave!" So that's not one, but two entries. De nada. about it here, but that's not important right now. 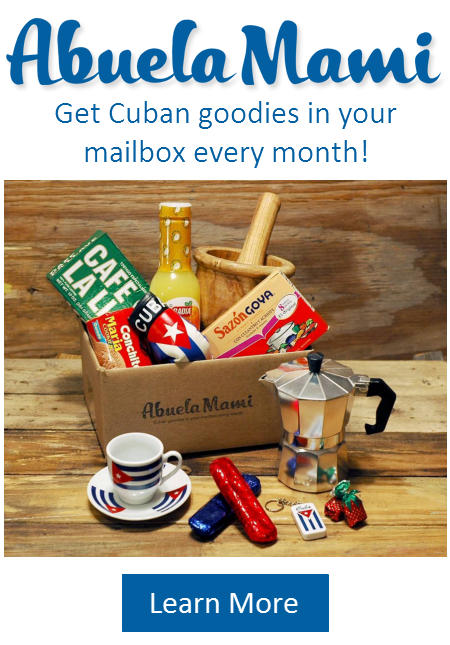 Mami Loves Cuban Coffee – A Giveaway The Smell of Home – Gaviña Coffee Basket Giveaway 3:05 Miami Cafecito Break (MBFCF Giveaway #6) Mas café, por favor. . .
Wow really nice giveaway.I love coffee.I drink coffee every day. I like expreso and I like coffee with milk. 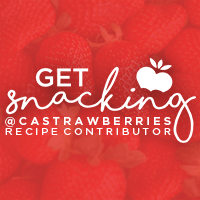 I love your cooking blog is really nice and the way you explain is amazing. I am going to cross my fingers and Hope I can win this beautiful basket. I am so socially challenged that I think I have only had espresso once.But my husband loves coffee,and I enjoy it when he makes it,and this gift basket is so cute! It would clearly up my cool quotient! I like coffee with milk and my husband usually takes it black. I drink espresso at least twice a week. I like with milk and no sweet….And I love Cappuccino! I drink espresso on a few occasions, but my husband drinks it all the time. I prefer lattes or cappuccinos sweet with extra milk. 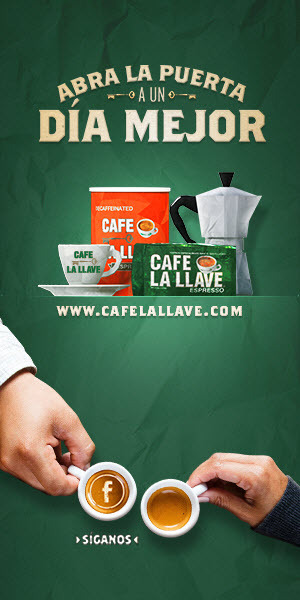 I like Cafe La Llave! I love espresso but I like it sweet. Also enjoy cappuccino as well! “I like Cafe La Llave!”And I drink every day! I love mi cafecito cubano.I have to make it every night, put it in the fridge (except for that little sip I take just before bedtime)so that at 5:45am I can make cafe con leche for my 3 kids. I love my cafe con leche dark and a little sweet. I also love cortaditos not so sweet. I drink it when I can have a good one which is not always the case in Dallas. I like a coratido after an authentic Cuban meal! I guess I should get a cafetera because most if the time the meal is cooked by me to guarantee the authenticity! Drink expresso once in a while. Do you drink espresso? How often?~When in Miami, daily, at least 2x a day. ~Is there any other way other than sweet? I drink it in all it’s forms. I’m an equal opportunity espresso extremist. I “like”d La Llave on Feibu. Cafe con leche in the morning in a big mug! Un cortadito in the afternoon with my mami! And espresso with lots of sugar in the evening with my “cafetero” husband! I like Cafe La Llave on FB! 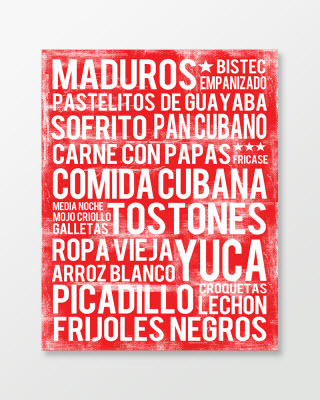 And I like Café La Llave! Me encanta el “café expresso” I like it sweet with milk (Mi cafecito con leche)O:)since I could remember. Me podrá faltar la comida pero nunca el café con leche 😉 but has to be La LLAVE!!! I drink it several times a month as a café con leche, preferably with evaporated milk and LOTS of sugar…so womby. Did I have an azabache? Did my children have azabaches? What Cuban in their right mind would not? My azabache was pinned to my “pasador” (small pendant that is pinned to a babies clothing) with the words “Que Dios te Bendiga” on it. My Mami never let me leave home without it. When my children were born, all four of them had their own azabache. Por si las moscas. (In case of the flies)Love my Cuban traditions and I love even more sharing them with my kids. I drink it every morning—1st my shot of espresso, then my cafe con leche. And of course the 3pm shot to make it till quitting time :)My husband actually makes his morning pot of american coffee–1/2 coffee & 1/2 espresso ! I drink espresso at my house in the morning before going to work. Then mid-morning I make it at the office. I like to drink it straight up and sometimes in a “cortadito.” Of course I use La Llave decaffinated cafe. The Doctor told me to cut out ALL caffeine. I was delighted to see that La Llave has a decaffinated version of their delicious coffe. Hello dear friend! Espresso is a morning ritual here – a latte for Pam. I’m prone to drinking a straight shot once a day. As a kid and even till my 30’s I would never drink espresso and always passed when i was at my mom’s or visiting family. But, as a kid, since i was born I think, ive always had my cafe con leche (I probably had it in my baby bottle). As a kid my mom would warm the milk in a caldero and make it a cafe con leche for me. Then, I would get my Cuban crackers and crunch them all up in the cafe con leche and the dunking game would begin. Yes, I needed a kitchen towel with me because some days it became messy. This was like i said as a little kid while in front of TV watching Creature Feature. Then, I grew up….grew up to Cuban bread dunking I mean. I left my childish galletas ways behind and became a man and almost every day I would dunk my Cuban bread in my cafe con leche. I learned the art of dunking from my mom i guess even though I hate to admit that she got a little bit more sophisticated than me when she evolved into dunking Entenmann’s pound cake slices in her cafe con leche.But, I stayed faithful to my Cuban bread dunking. ,,,,Now that I am older I may have a cafe con leche decaf at night while watching my movies. But, still continue my daily morning cafe con leche. Now being older I appreciate the espressos and say “Yes” whenever being offered one and even at home once in awhile will have a nice espresson made with Agave (for my sugar) or raw sugar. 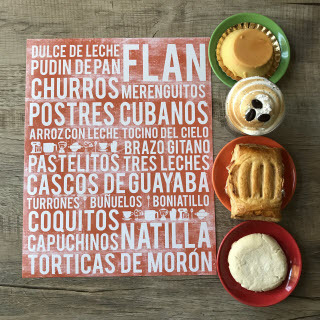 I have learned that I can keep up the tradition even though my sweeeteners have been modernized….Mas Cafe Por Favor,,,and dont forget the Cuban bread. I Loooove my espresso! My favorite way is 2 shots served with whip and caramel drizzle, but my every day style is 2 shots over ice. “I like Cafe La Llave!”I love expresso (cafecito Cubano)and it’s the first thing that I must drink when I get up each morning. There is nothing like it. I take it very sweet and lots of it. Marta, I love expresso (cafecito Cubano)and it’s the first thing I must drink when I get up each morning. There is nothing like it. I take it very sweet and lots of it. 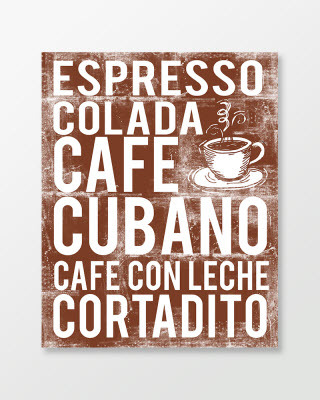 Marti, Love cafe con leche, Cuban coffee of any kind, and the hubby likes expresso. I still have my azabache, from when I was a baby in Cuba. My kids always wore one when they were babies. It’s a Cuban Thing. My grandson dose not have one to the horrow of the “viejas” in the family. Marta, I love my cuban coffee!! I <3 it anyway, sweet, cafe and leche, cortadito and anytime of day. Especially have to have it after lunch for the fuelto keep me going. La Llave is the one I use at home.